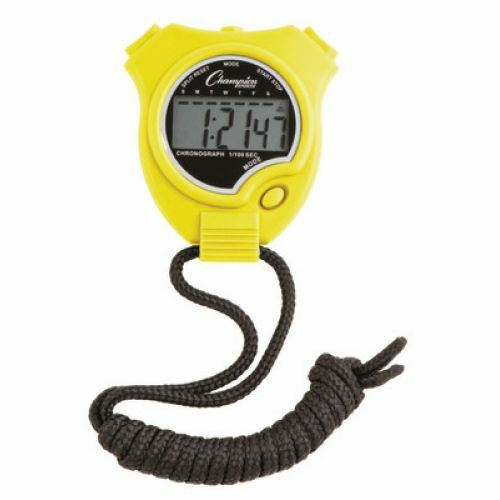 The Champion Sports Stopwatch Neon Set is easy-to-use and packed with multiple features. The large digital display includes 1/100 of a second precision, a lap counter, and 12 or 24 hour formats. Other useful features include calendar and time display, a daily alarm, and an hourly chime. 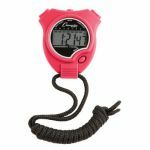 It is also water and shock resistant, so you can train hard without worry. 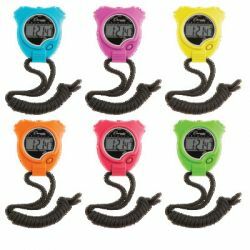 This set of six neon stopwatches comes with one each of neon blue, neon green, neon orange, neon pink, neon purple, and neon yellow.